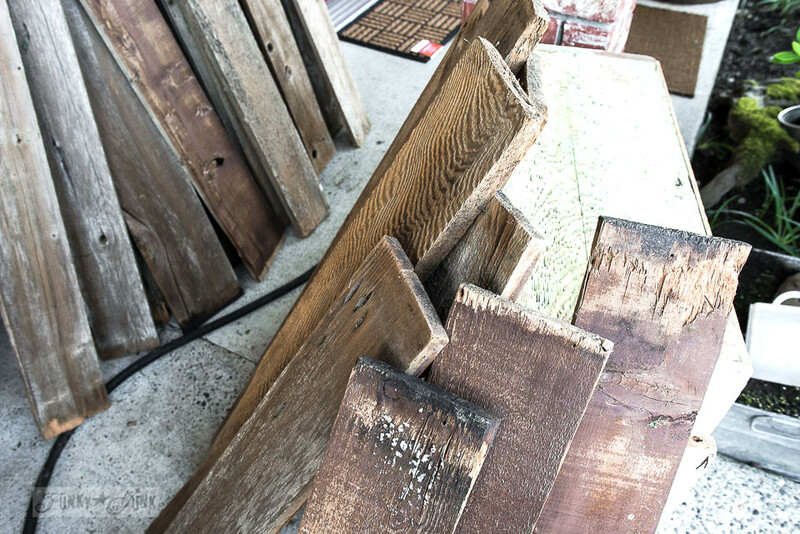 So… remember all that great old fence wood I came home with not long ago? At one point I attempted to use a scrub brush to clean them. But after huffing and puffing over 1 square foot, (I’m too old for that nonsense…) I got the pressure washer involved. Pressure washing the reclaimed wood was the way to go. Within minutes, I had tons of fence planks air drying so I could eventually work with them. Here’s the astonishing difference. The top one is fresh off the fence, and the bottom one is pressure washed and sanded. Now if this doesn’t convince you to get a pressure washer in house, I don’t know what would! I’ve used a scrub brush and bleach on old wood before. But because this stuff was so full of mould, the pressure washer really did the trick. 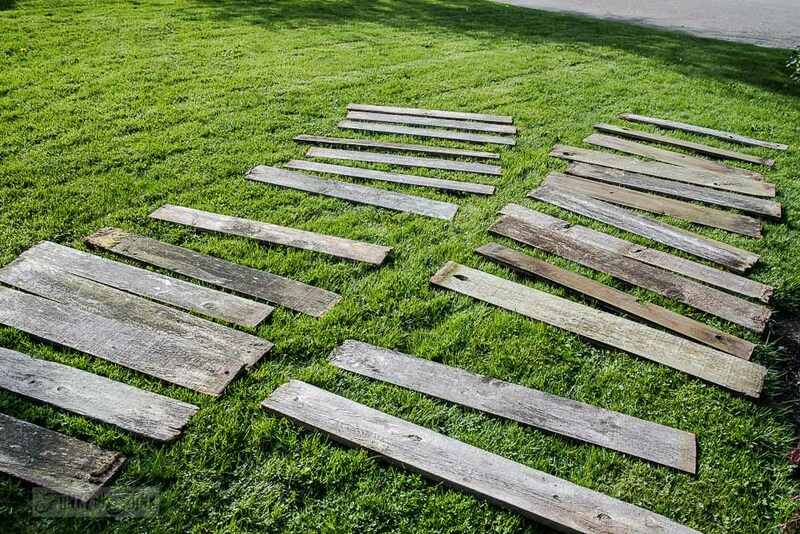 Lay out all the planks on the lawn. 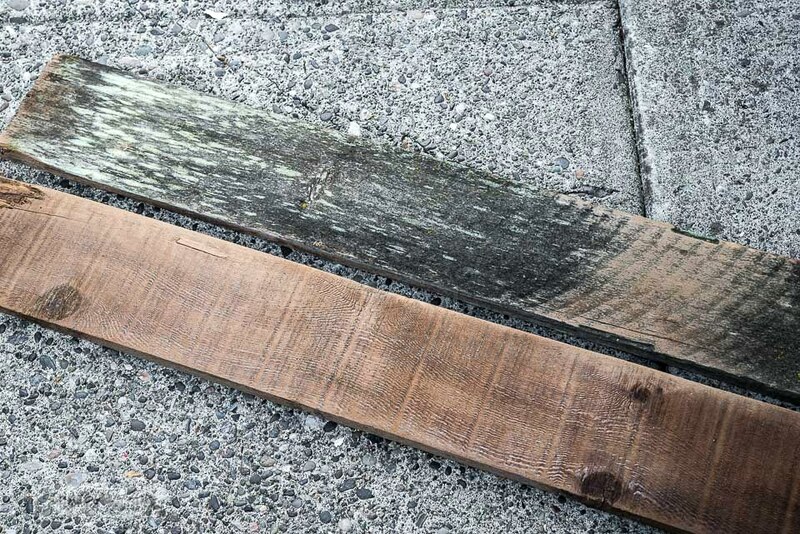 With the pressure turned down low, make one pass across each board with a pressure washer, (affiliate link) taking care not to remove all the patina. Flip the boards over and do the same to the other side. 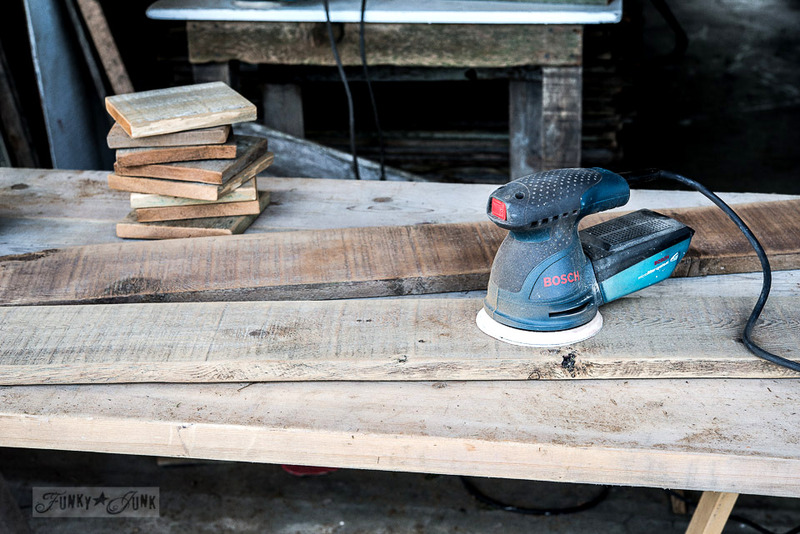 Walk across all the planks while spraying both edges (sides) of each plank. Once dry, lightly sand with a palm sander before working with them. The fence wood had gorgeous variations in tone, which will make for some neat looking projects when mixed up! What would you make with all this wood? 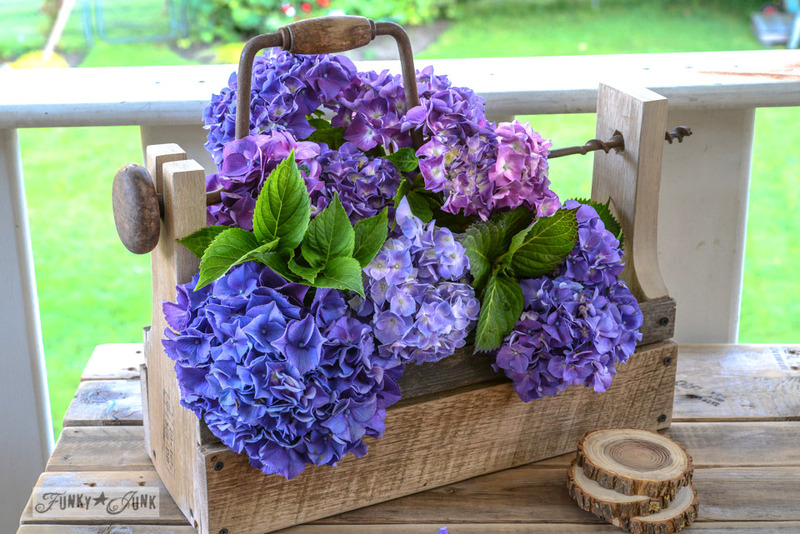 I follow all your “pallet adventures” and I love it! You gave me a great idea with these coasters! Thank you for sharing such talent!! Ah, the pressure washer! I love it but I think it hates me! The setup, connecting, leaking, tangling, coiling! Every spring I get itchy to clean up yet brace myself at the same time and mine isn’t nearly as monstrous as yours. Bring on Spring!! The difference is like night and day! 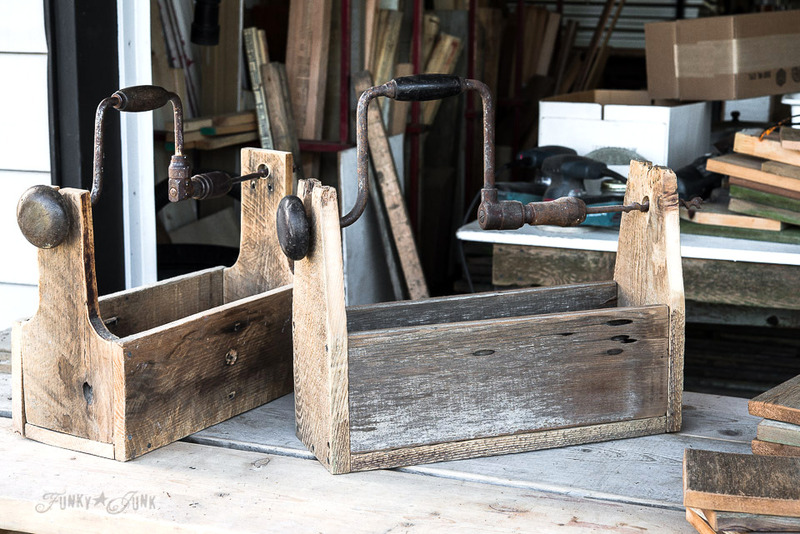 I appreciate this post because I have some old picket fencing I’d like to do something with, but it’s got a pretty nasty “patina”…now I know how to rid of that without breaking my back…thank you! 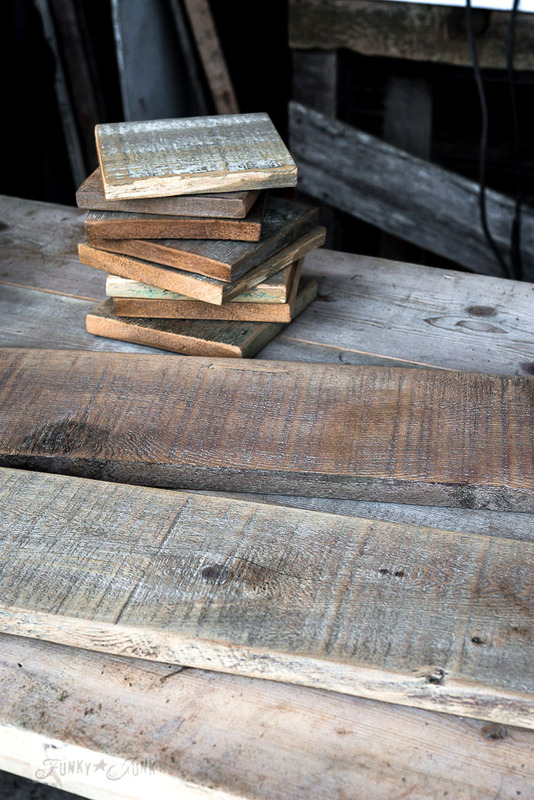 I can hardly wait to see what you decide to do with all of these beautiful planks! Being someone over 50 myself, I love this idea. And I just rent my power washer from the local hardware store when I need it. No room at my little cottage to store it. Thanks! Pulling out ours this weekend. I don’t know how we ever lived without a pressure washer. Our cedar fence was looking terrible but after a few hours using our pressure washer the cedar looked like new again. You must’ve been the talk of the neighborhood that day while your reclaimed boards dried on the lawn! 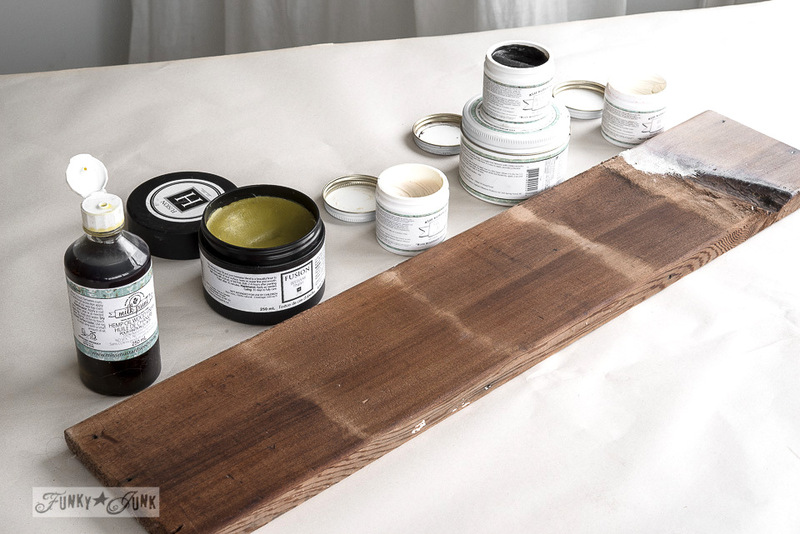 What a great answer to my recent thoughts of how to clean reclaimed boards! I have a wall (maybe two) I want to plank with the neighbors old fencing they offered me. This was shortly after you said your neighbor gave you some fencing. (wow) Love your blog! 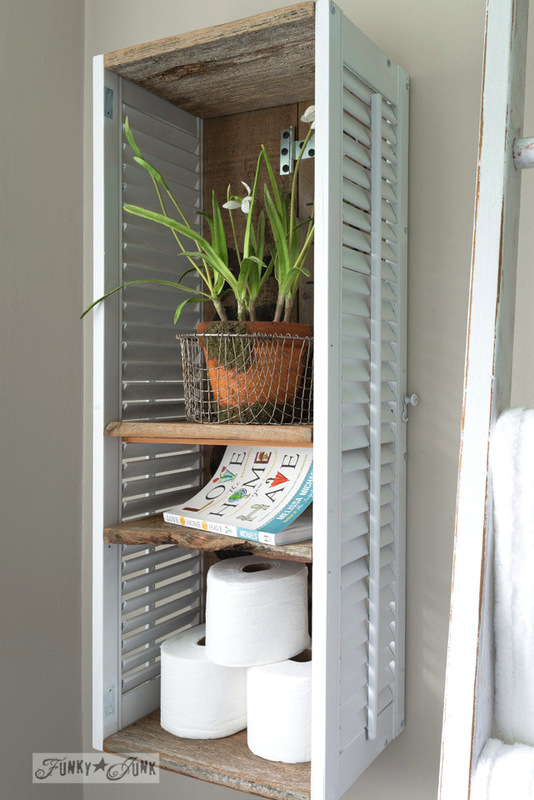 Love the ideas for cleaning the pallet planks ! Loving this! 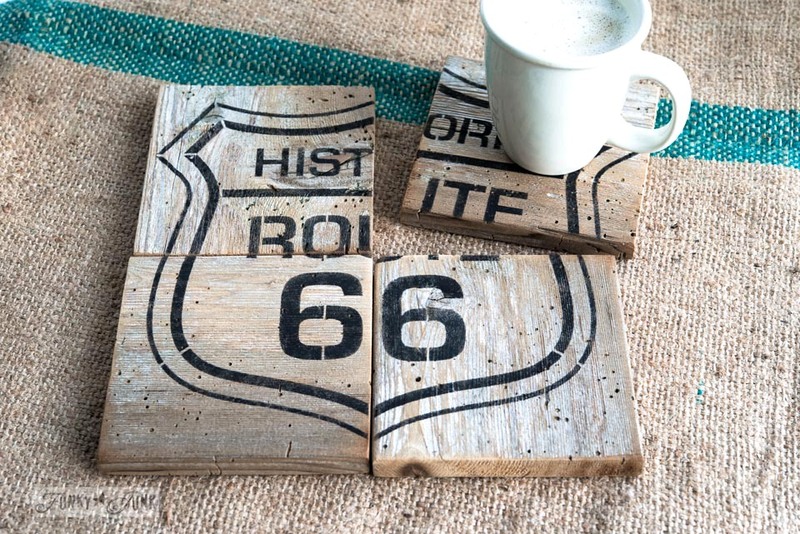 I’ve been wanting to do some stuff with reclaimed wood, but I’m always hesitant since I mean, I don’t know where that’s been!! 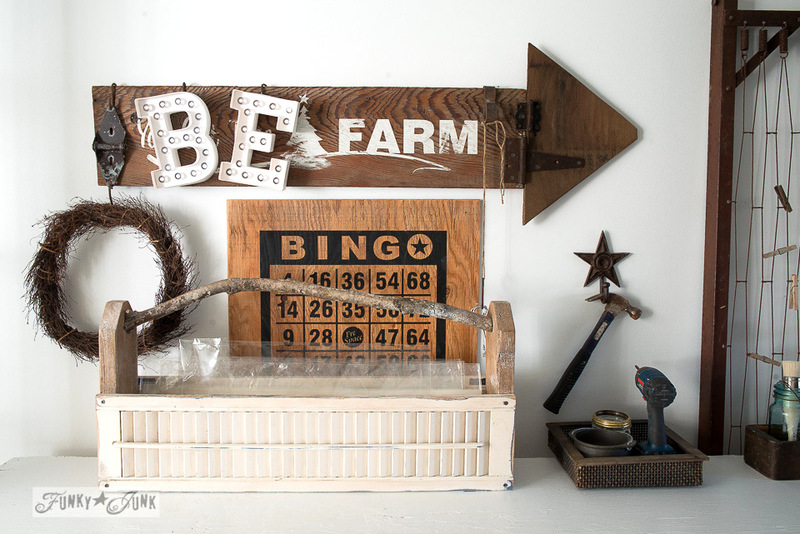 But this is a great tutorial here, now I’m a little less wary of using reclaimed wood. Hi Donna, I live in Northern California in a drought with water use restrictions. 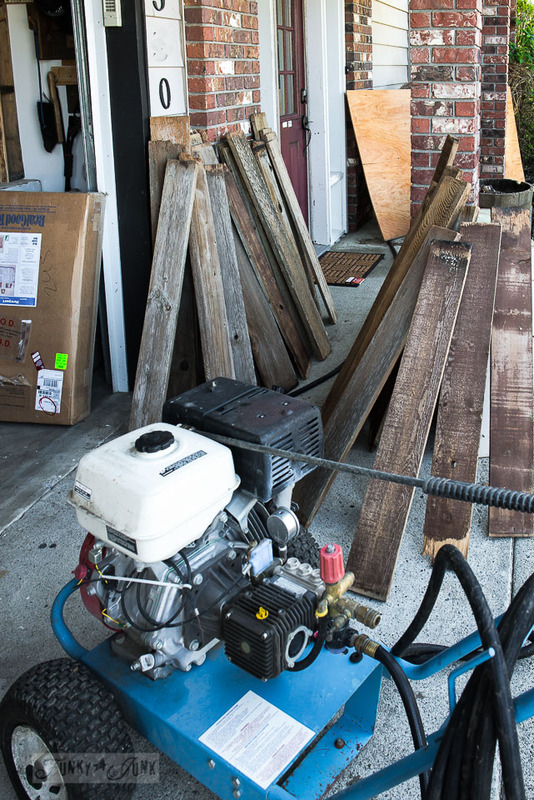 I’d love to use a pressure washer to get my wood done so well, but I have to be careful. 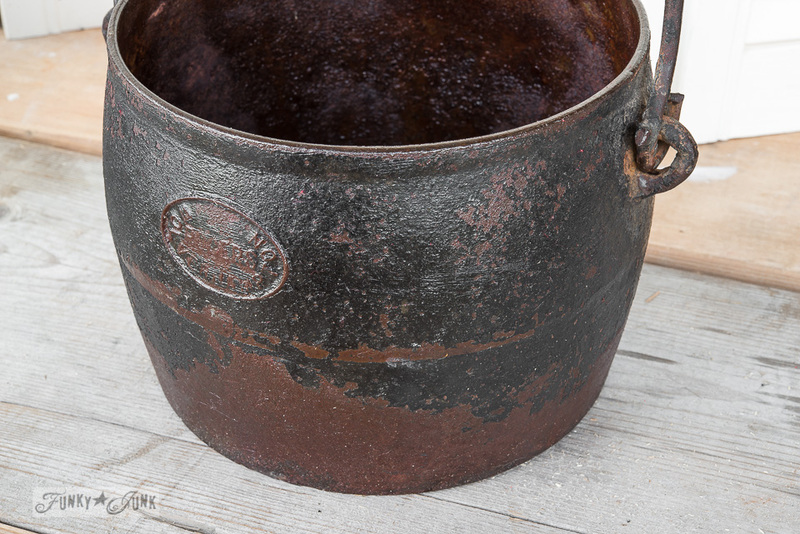 I wonder if it uses less water to spray the wood with the hard pressure and get the crud off quickly, than to scrub it with a brush and have to keep changing the bucket. Any thoughts? Thanks!! Pressure washers use very little water. If you can line the boards up, turn on the water, do your spraying and turn it off you will probably use less water than with a bucket and brush. Hi there I recently had a bunchanged of reclaimed wood I was able to grab and I want to make a coffee and side table. However that would mean fresh cut ends. Do you have any suggestions on what to do with the fresh cut ends? What do you do in your projects to hide them? I do my best to hide the fresh cuts when necessary, but other times, I allow them to just be a part of the project. That said, you could always experiment with watered down stains made from craft paint that will ‘dull’ the fresh cuts some. I’ve done that with success too. Donna, I recently was gifted with two of the heaviest, old wooden doors, with the most gorgeous chippy paint on them. How do I clean that without removing all the chippy character? I can use a garden hose with no pressure I suppose. And I want to use them to make an outdoor arbor so maybe they don’t need a lot of cleaning? Hi Kathy! 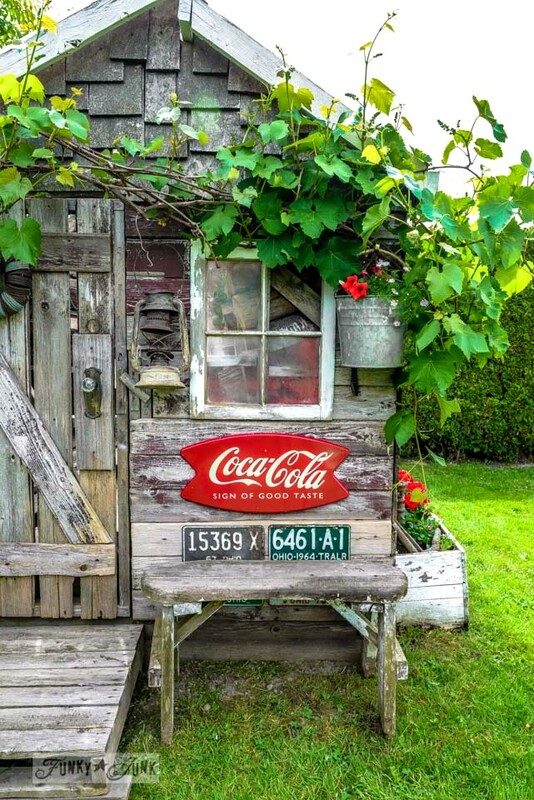 I think using the old wood for your tiny house would be fabulous! I’d suggest to visit a local paint store for expert advice on how to best preserve it. I don’t seal smaller projects however for a house, I would certainly be looking into something as that is a long term commitment. Hope you get the right advice!